Since Postcode Anywhere revealed Premier Inn to be the winner of its inaugural online survey to identify Britain’s most user-friendly hotel website, hotel chains all around the world have been asking one particular question: What is it guests are really looking for when booking a hotel online? With mobile devices on the rise, consumers now have a huge amount of information at their fingertips, all day everyday. In the US, 20.9 million smartphone users booked travel arrangements via their mobile device in 2013, and this figure is expected to grow to a staggering 49.4 million by 2018! With this change in consumer behaviour, it becomes increasingly difficult to stay on top of trends and integrate measures to combat these changes within your marketing strategy. Customers spend no longer than 3 to 5 minutes on a hotel’s website before giving up and going elsewhere. This means you have less than the time it takes to make a cup of coffee to engage a visitor. In addition, you never know when your guests will conduct research on their smart phones/tablets or will book on their laptops/desktops, so ensuring you have a responsive design website – that loads fast so it can be viewed and used across all mobile devices – is essential. Keep it simple and offer your guests a fast and easy process to book online. Make your booking form accessible, on your first page, and ensure it is tied to a secure and stable booking engine. Don’t overload your homepage with offers, images and deals – keep it simple; create a clear path for those who are still looking, such as an “offers tab” or a “best rates here” button. The quicker your potential guests can access the information they seek, the better for you. Take Premier Inn, for example. According to tnooz.com what set them apart from the rest is its ‘dates flexible’ check box, which shows guests the best offers across various dates outside of the ones the visitor has searched – a great benefit for those who are flexible with their travel dates. This is your time to shine. 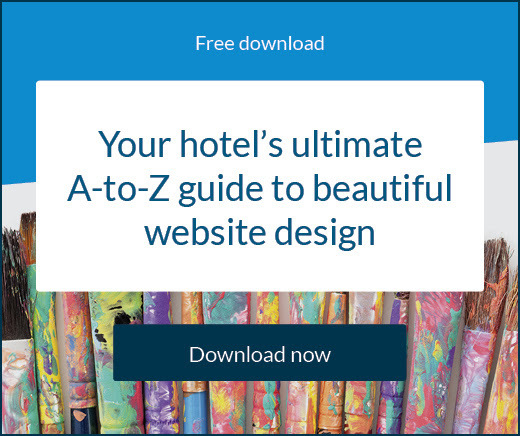 Your hotel’s website needs to promote your brand as well as your property. Invest in professional, high-quality images to really make your property stand out. Provide guests with great photographs of amenities, facilities and each room type, as well as an explanation of their features. Online bookers love slideshows and image galleries. Studies carried out by the ROI Manager Module have shown that the photo gallery sections of a website receive an average of 97.6% of ‘clicks’ by visitors who book online. It is also important you are clear about your location; don’t just provide an address as not all guests know the area. Let guests know where you’re located in proximity to shopping districts, tourist destinations and other points of interest. A Hotels.com survey also revealed you should focus on which hotel amenities guests like to experience during their stay. 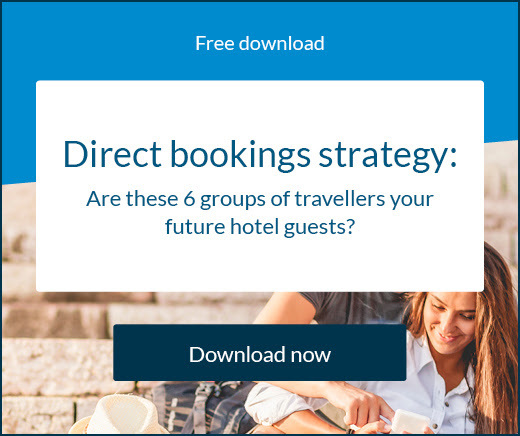 With OTAs and meta-search engines integral in today’s travel and hospitality industry, consumers are utilising review features heavily – something you can use to your competitive advantage. By allowing guests to share their experiences and opinions, you can increase your social proof, gain transparency as a business and even get an insight into what needs improving within your organisation. Live Chats are another great way to engage with your customers, especially the younger ones. According to Postcode Anywhere’s survey, younger generations (18-34) are almost twice as likely to engage with Live Chat when making a purchasing decision compared to those aged between 35 and 54. It is critical you are transparent when it comes to providing rates to your customers. Postcode Anywhere’s survey revealed that 55% of consumers voted hidden prices as one of their top ‘turn offs’ on hotel websites. If you don’t seem legitimate and trustworthy you will turn customers away, the same goes for terms and conditions as well as cancellation dates and fees. Let your guests know all the details from the start. 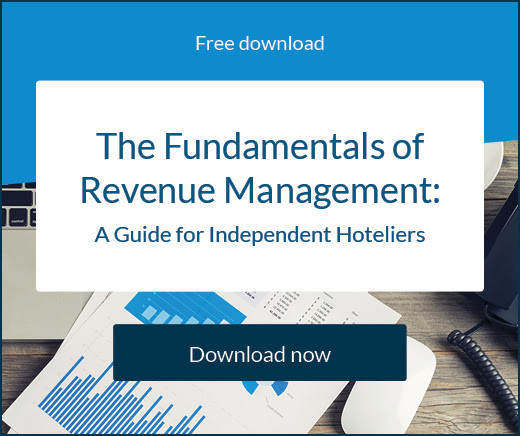 Your hotel’s website needs to be an ever evolving part of your hotel’s sales and marketing strategy. Its look and feel, speed, and user friendliness are just as important as the implementation of a booking engine that provides guests with a quick and easy booking experience. With 148.3 million travel bookings made on the internet each year, make sure you’re getting your piece of the cake! To create satisfied, loyal, guests it’s imperative you create meaningful connections and treat guests like your friends and family.